Successful education systems are those that promote leadership at all levels, thereby encouraging teachers and principals, regardless of the formal positions they occupy, to lead innovation in the classroom, the school and the system as a whole. 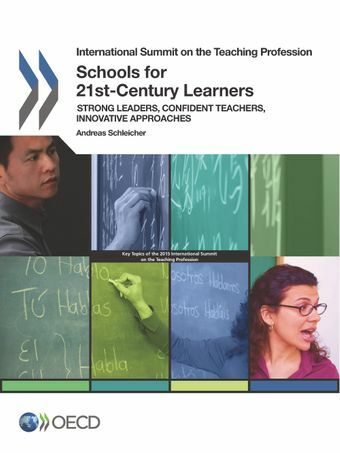 This report summarises evidence from the OECD Teaching and Learning International Survey and the OECD Programme for International Student Assessment that underpins the three themes of the 2015 International Summit on the Teaching Profession: school leadership, teachers’ self-efficacy and innovation in education. It also offers examples from around the world of how some schools are introducing innovative ways of teaching and learning to better equip students with the skills they need to participate fully in 21st-century global economies.